Are you curious about the psychological benefits of swimming? Besides the obvious health benefits of swimming for your body, swimming is also very beneficial for the mind. 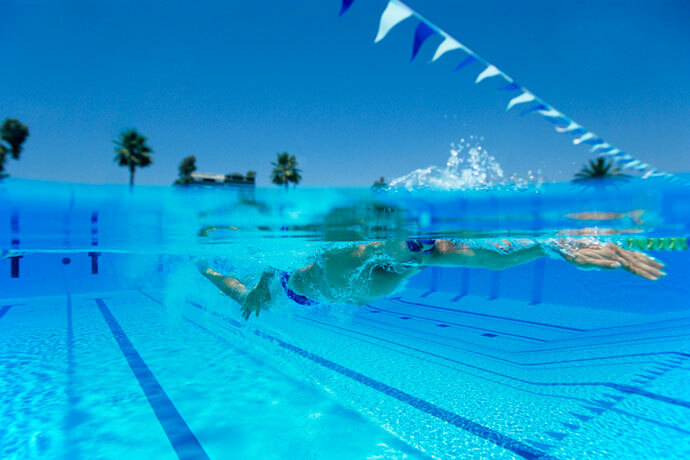 First of all, swimming, compared to other sports, lets you feel energized afterward. Nothing beats a swim session early in the morning to feel great before starting a work day. If you can find a pool that opens early enough, and that you want to do something good for yourself and be fit for a work day, this is highly recommended! Swimming is also a fun way to release stress after a workday. The contact with the water is very beneficial and helps to loosen up the body and the mind. The regular rhythm of the stroke, the immersion in the water and the concentration on the technique quickly feel like a relaxing meditation in the water. Swimming is also a very social sport. When you start to go to the pool, you quickly get to know the like-minded regulars. To chat about various topics and to exchange swimming tips and tricks while you relax in the water is very enjoyable. The swimming pool is also a place where you can chat with people of all ages, which becomes rare in our society. Swimming or playing pool games with your friends, family or children is a great recreational activity, especially in the summer. Because swimming gives you a well-toned body, it increases your well-being and self-confidence. The contact with the water also improves your mood when you feel tired or depressed. As we have seen, the psychological swimming benefits are plentiful. Add the health benefits of swimming for the body, and you know why swimming is a great sport. So what are you waiting for? World of Psychology: How Swimming Reduces Depression. I agree, swimming has helped me a lot with my nervous system. At my age, 48, women are going through many hormonal changes. I’m no exception, one hour of swimming 4 days a week makes a huge difference in me. Thank God I have a pool very close. Swimming has also helped me a lot to improve my body shape, my waist is smaller, I got rid of the muffin top, and in general, I look and feel better… There’s a reason why God made us human able to swim. Probably worth mentioning the huge boost in self-confidence people get from overcoming a fear of the water, which is very common.